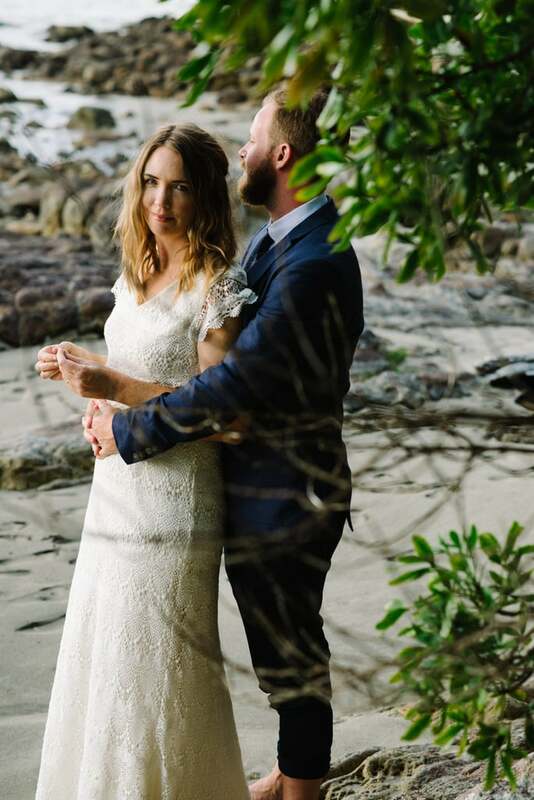 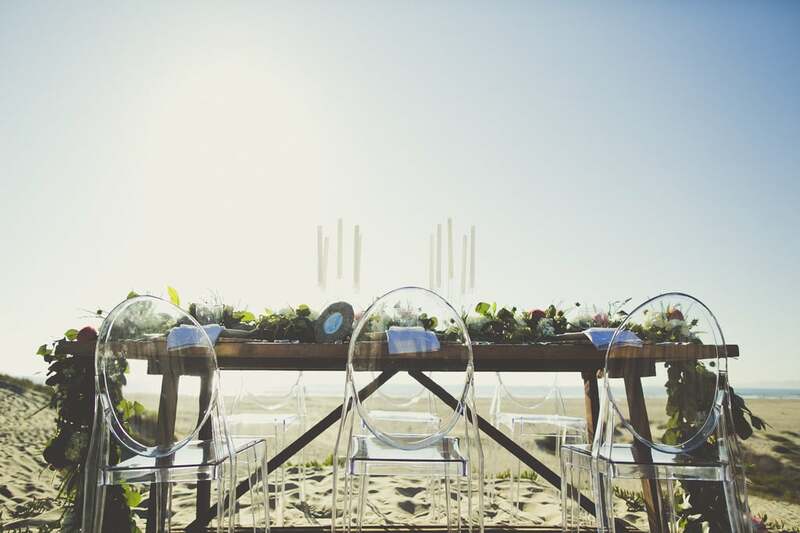 Surf and sand aren't required to execute a beach wedding, as long as you have all the right elements. 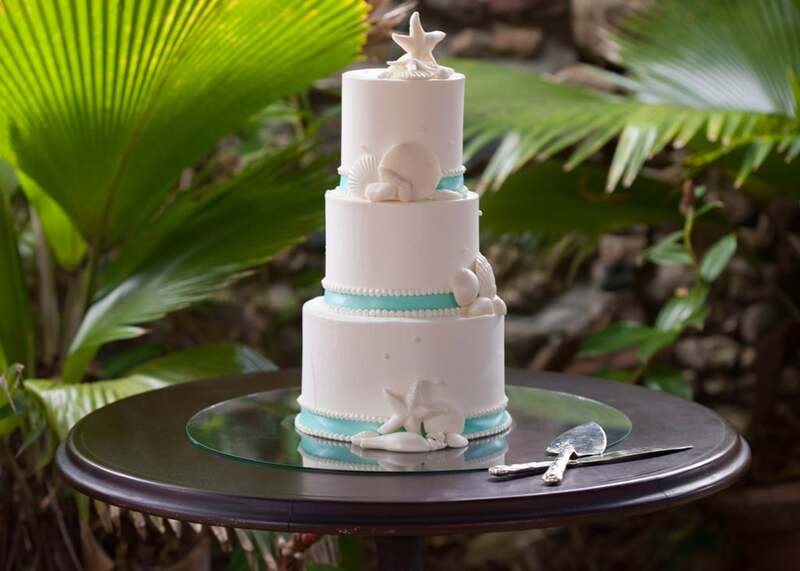 And if your nuptials are oceanfront, there are plenty of ways to play up the theme without featuring a gleam of cheese. 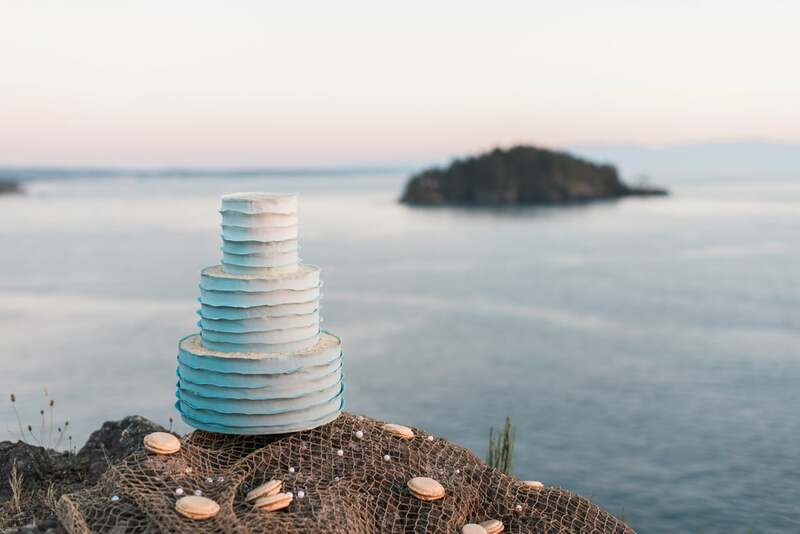 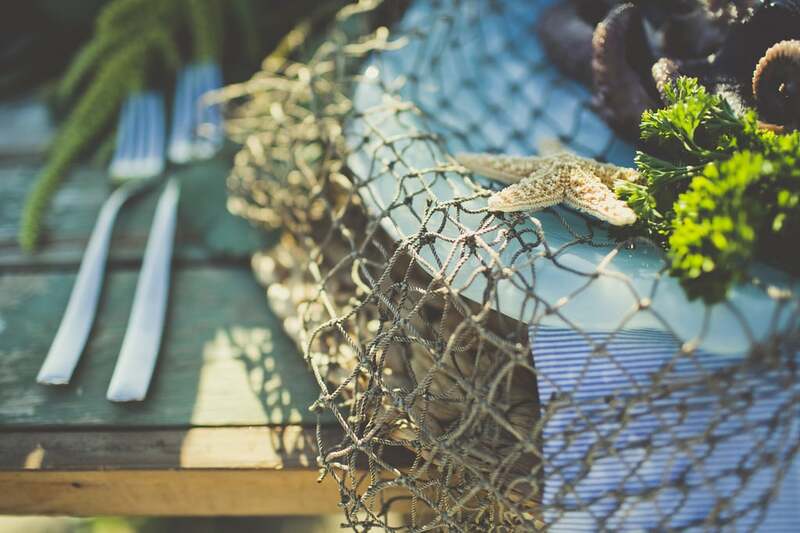 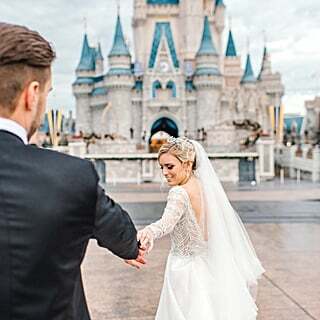 Your inner mermaid bride is going to flip out over the inspiration ahead, which includes seashell details, simple yet gorgeous tablescapes, and other breezy ideas that will help you envision the wedding of your dreams. 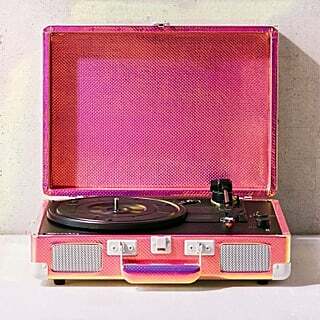 Keep reading to get started! 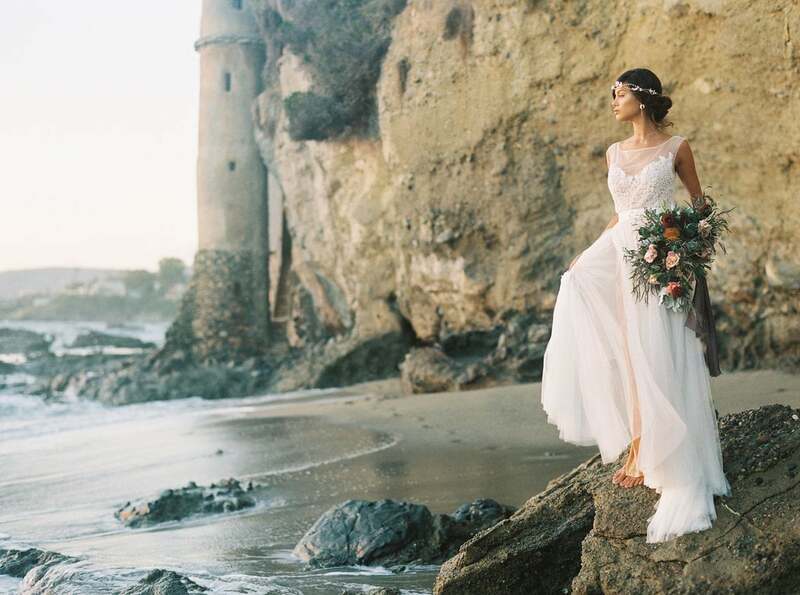 Instead of a traditional veil, opt for a headpiece or seashell crown for a relaxed but chic look. 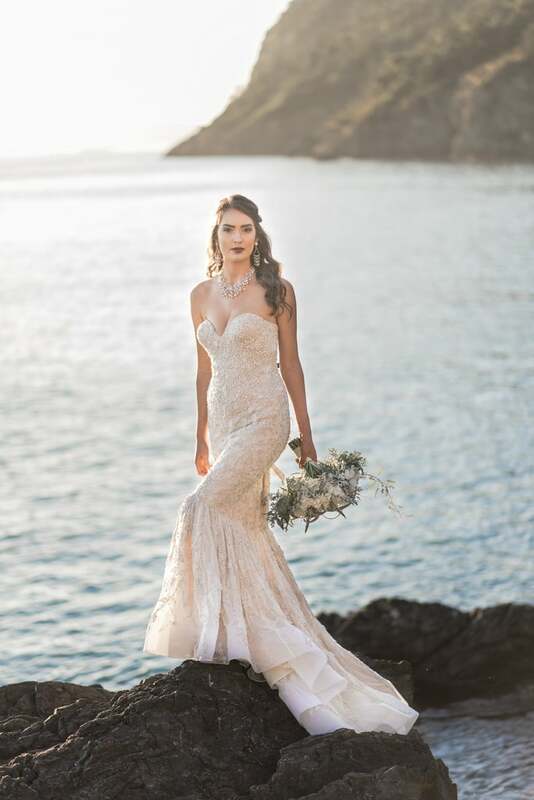 It's also an effortless way to downplay a fancier gown. 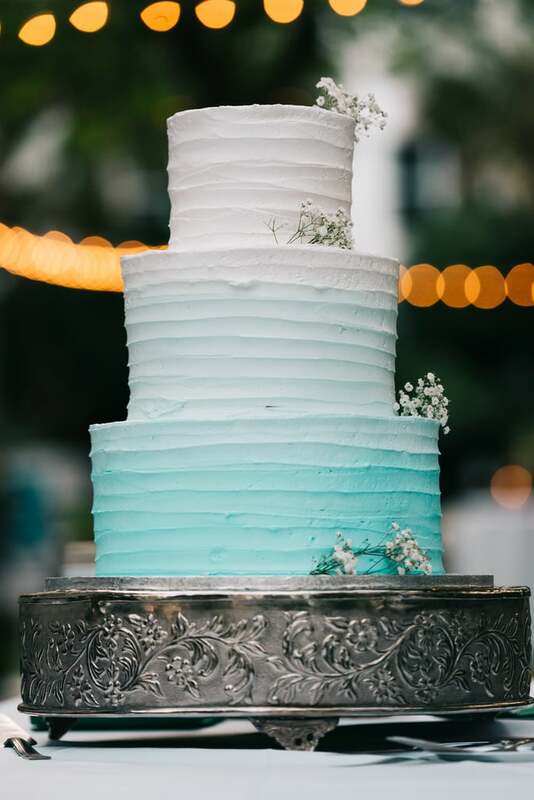 Adorn your cake with ocean details or put a twist on a classically tiered cake with a subtle ombré blue finish. 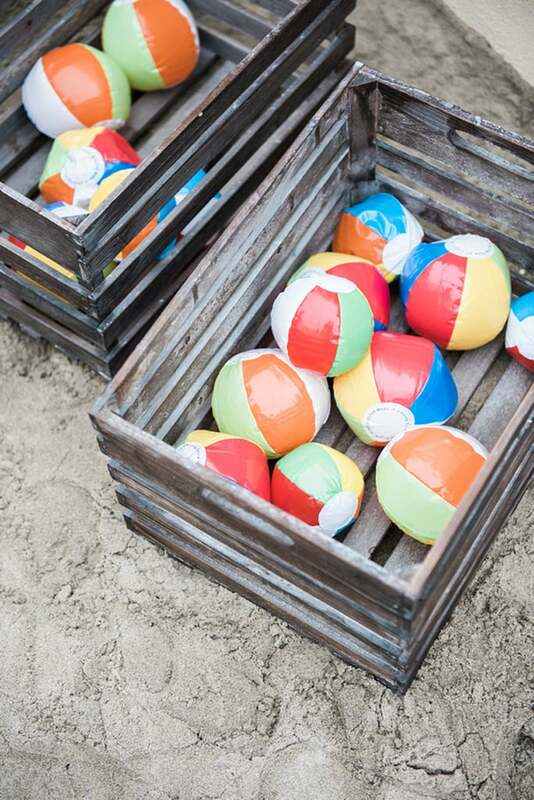 If your wedding is on the beach, consider gifting your guests fun items that will also be useful that day. 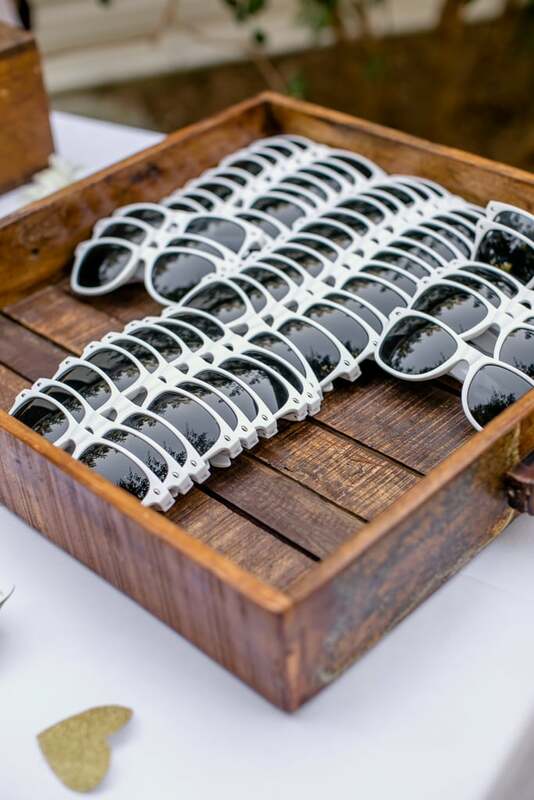 Sunglasses, personalized sunblock, or even beach balls are a few ideas. 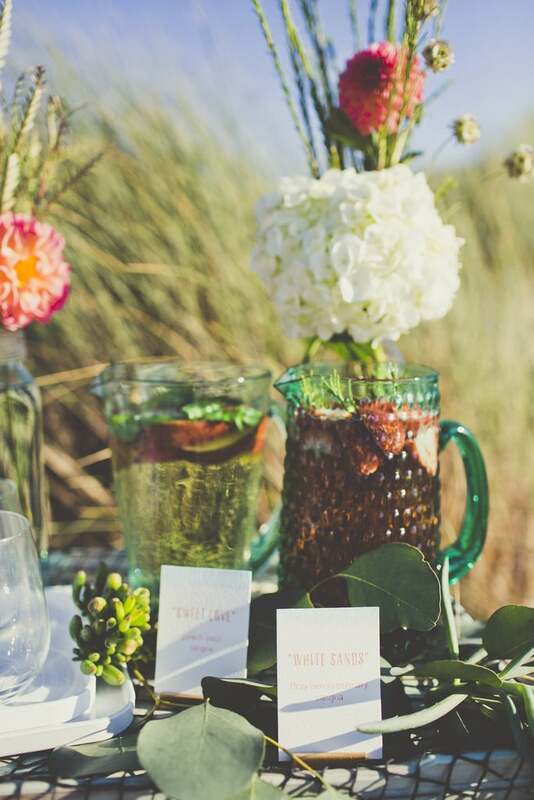 Or choose to play up the theme with message-in-a-bottles. 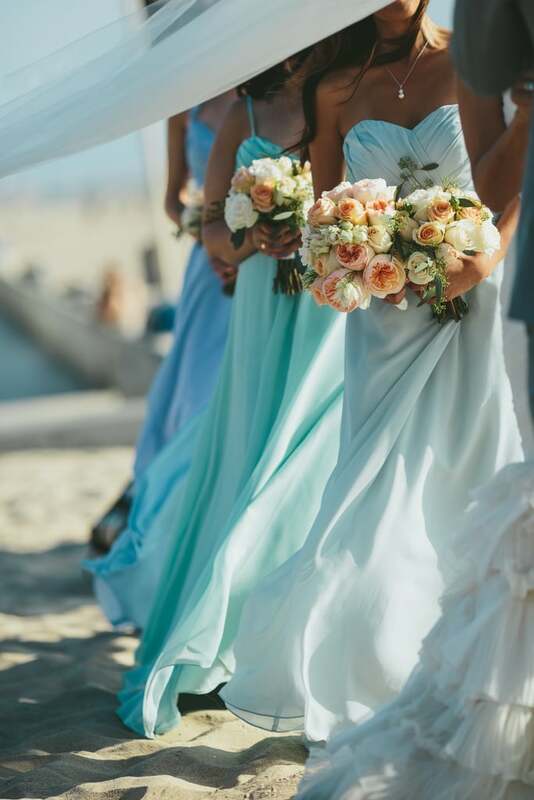 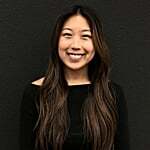 Consider maxi dresses or relaxed gowns that will look gorgeous wind-blown. 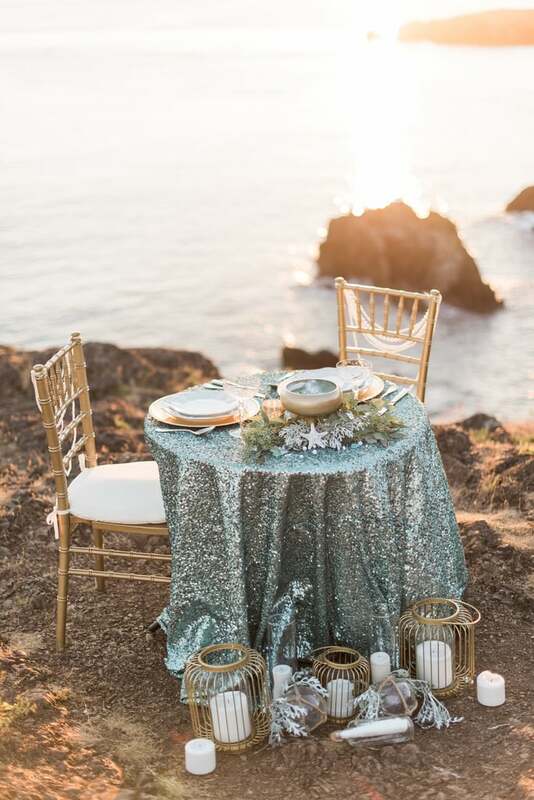 A sea-inspired color palette is just one direction you can take. 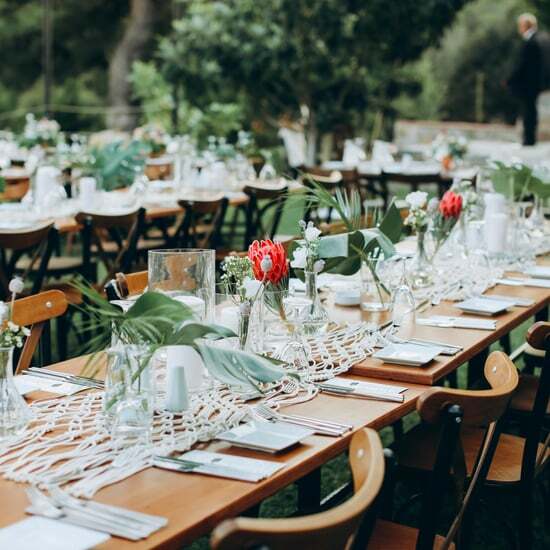 Keep the table setting simple and opt for greenery over floral centerpieces. 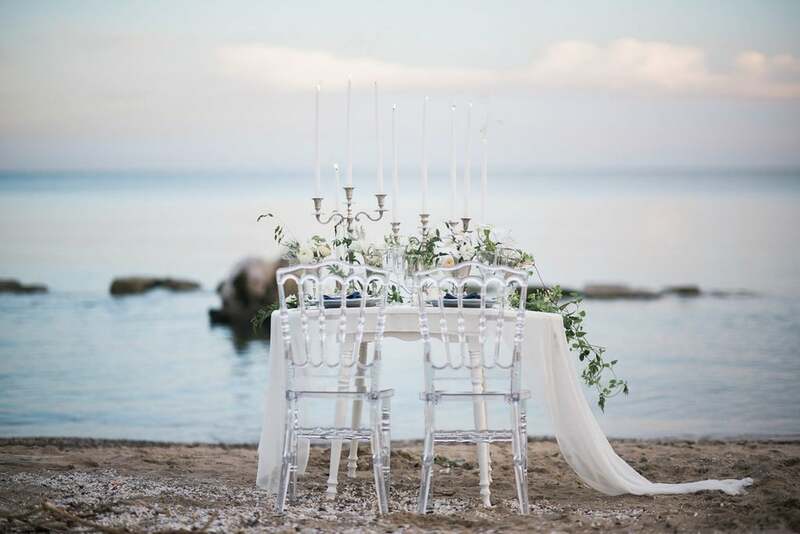 It's an elegant ode to seaweed that brightens up any surface. 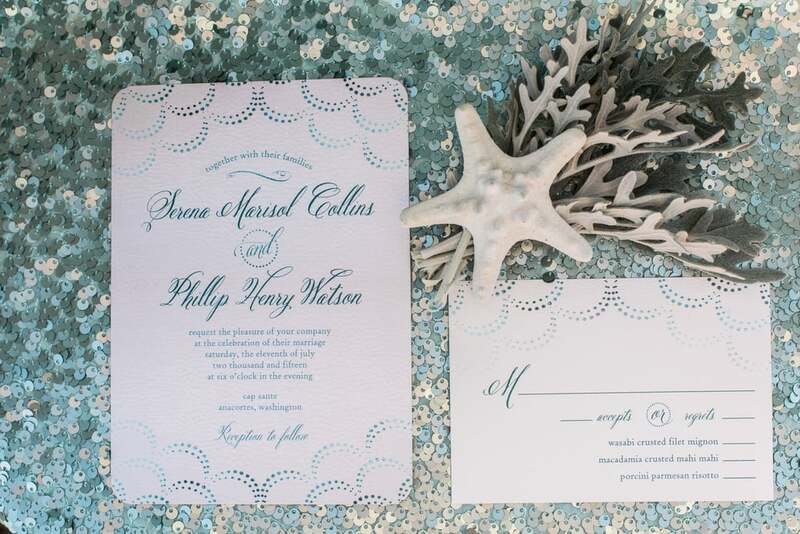 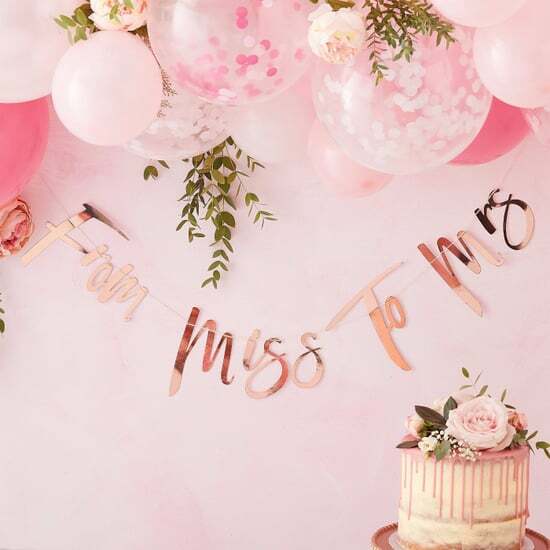 Image Sources: Inclosed Letterpress Co. and Daniel Muller of Mullers Photo Co.
Be as subtle or bold as you want with how the beach theme comes across your invitations. 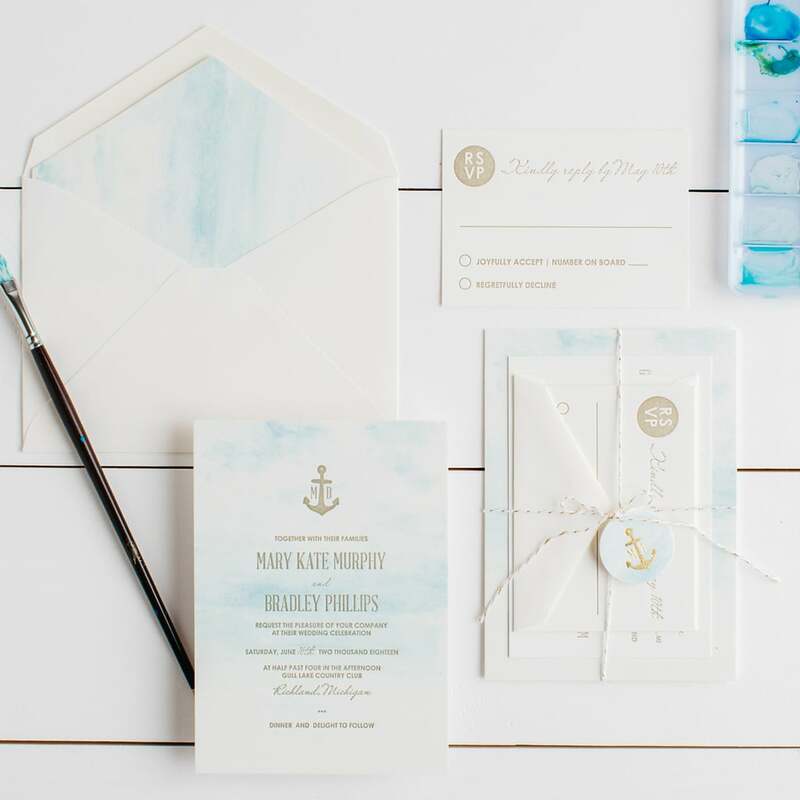 Include nautical nods in your design, or let a light blue marbling speak for itself. 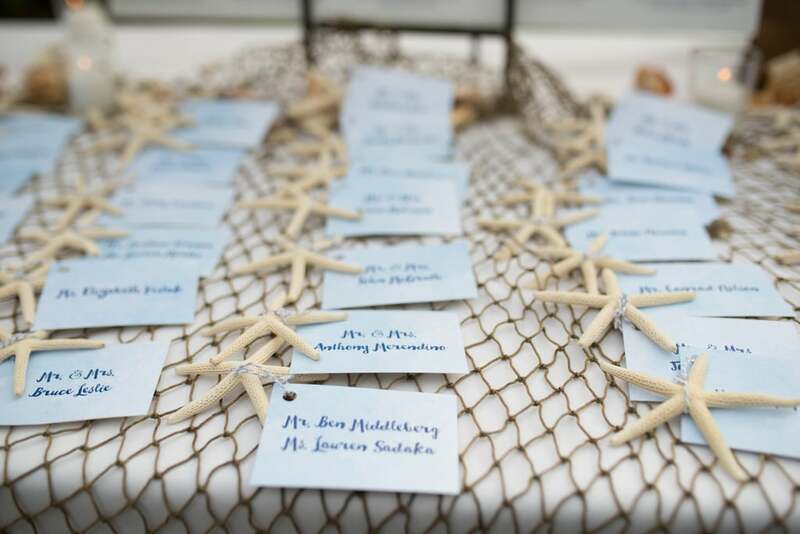 If you really want to bring the sea to life, consider incorporating nets into your reception. 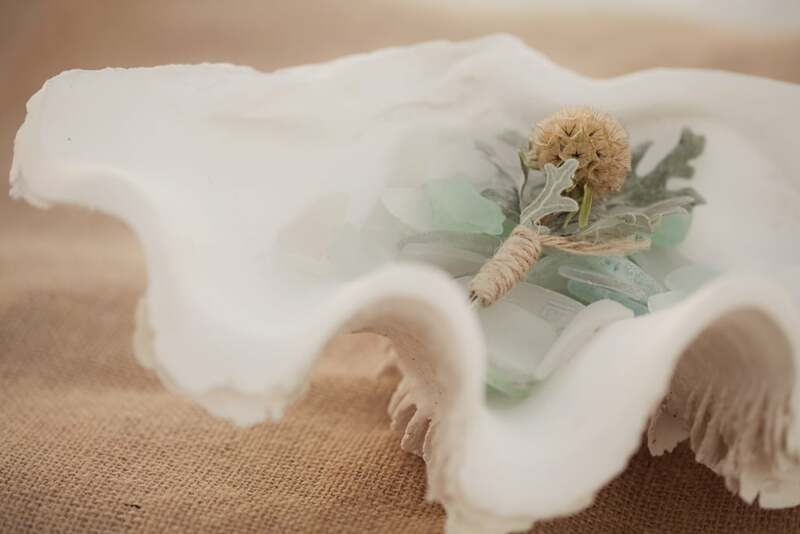 Use them as decor or as table runners or even as inspiration for your wedding gown. 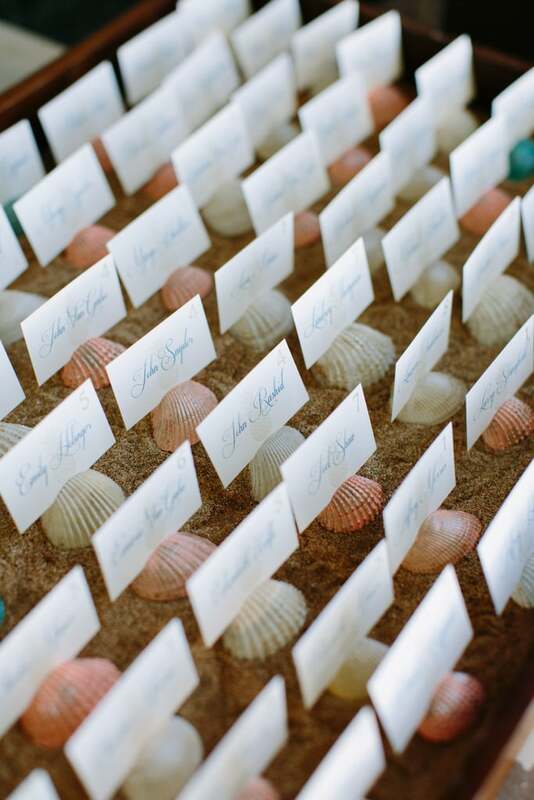 What's a beach wedding without any sand or shells? 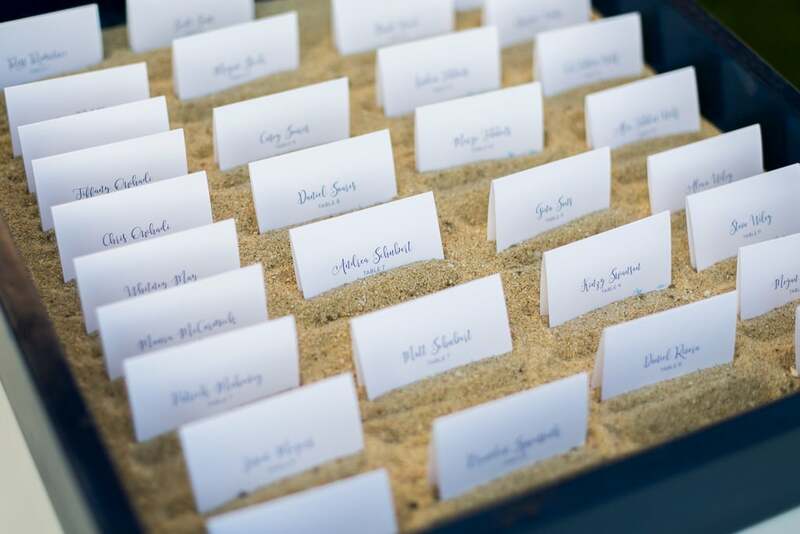 The wonderful thing about sand is that it can prop items up like tiki torches, table numbers, etc. 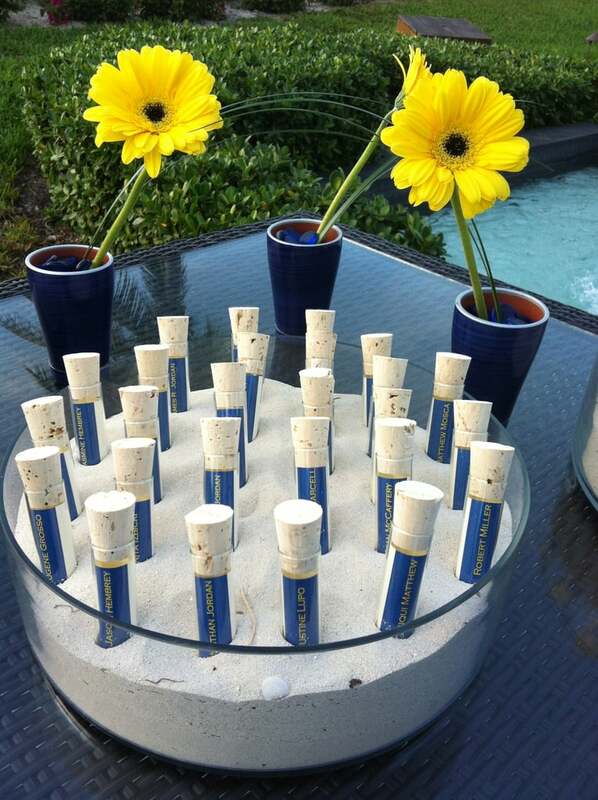 and double as decor. 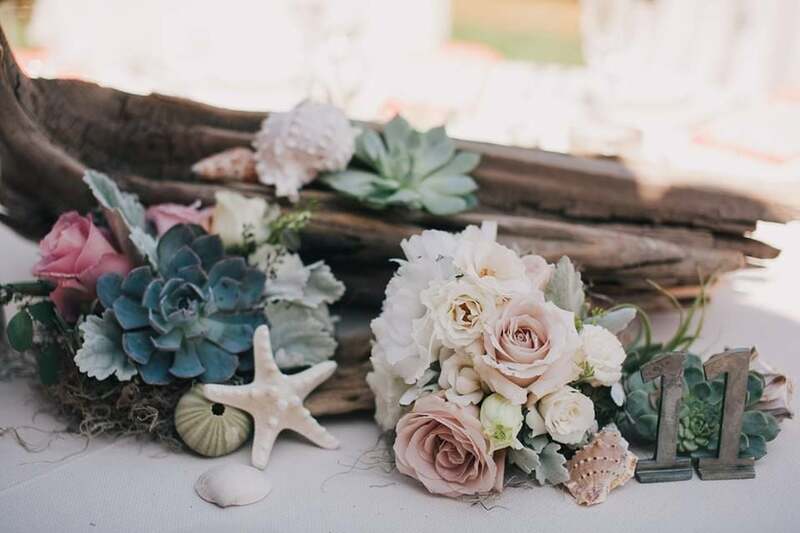 Get creative with how you incorporate seashells, whether you use a large conch as a centerpiece or smaller pieces to accompany guest seating cards. 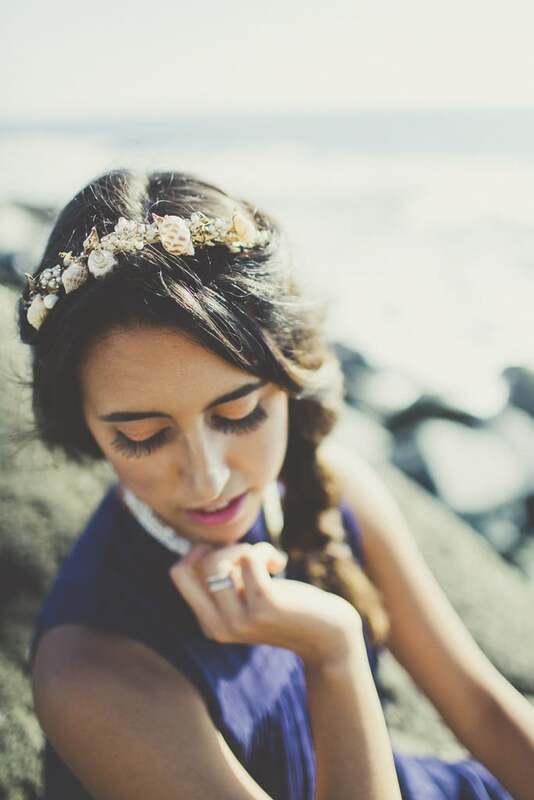 Pair a boho dress with beachy waves and you've achieved effortless and elegant at the same time. 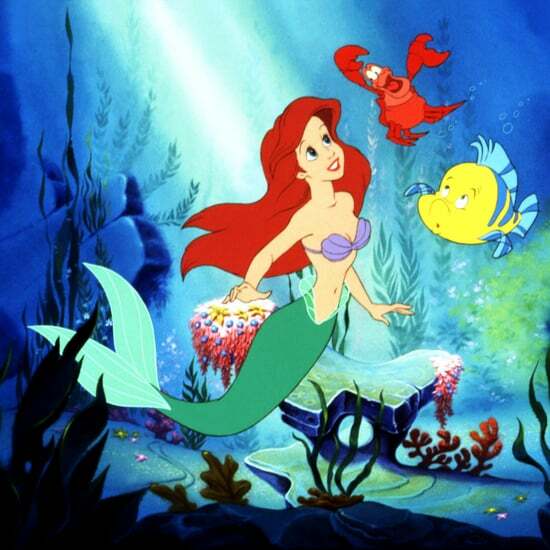 You can also take complete advantage of the mermaid theme and don a mermaid gown that hugs your curves. 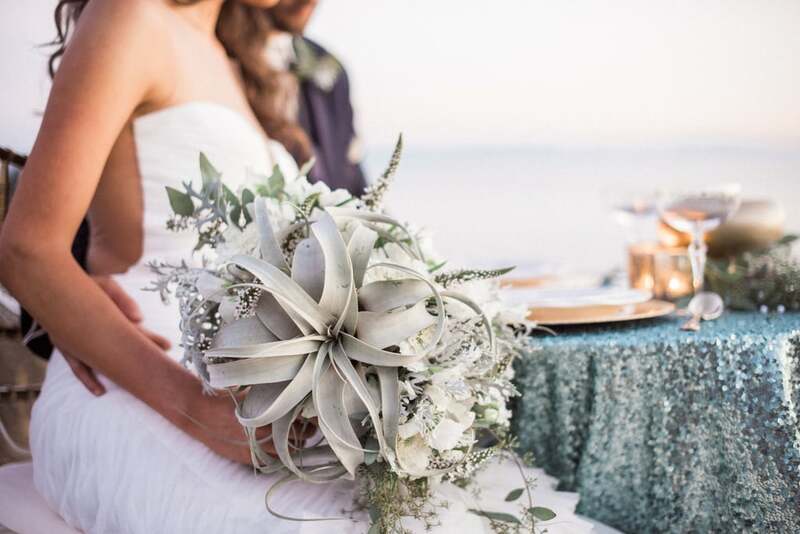 Rethink traditional bouquets to be more green than floral. 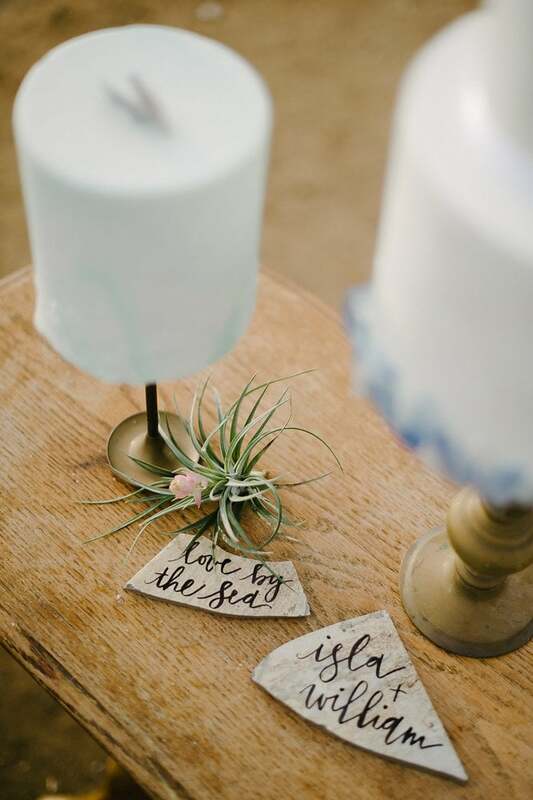 Sprinkle succulents and air plants into your bridal bunch, or display them as decor throughout your reception. 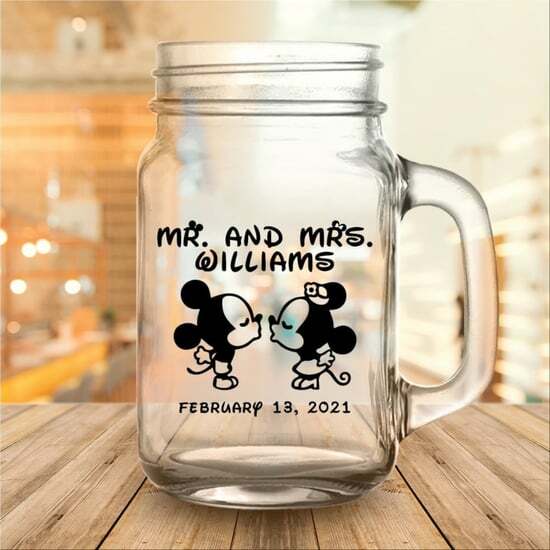 They also make dainty wedding favors. 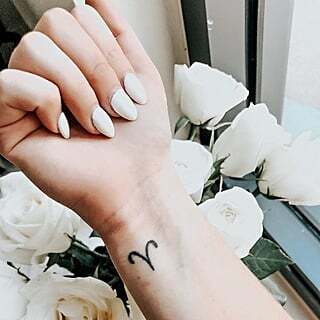 Overall, keep things relaxed and free-flowing. 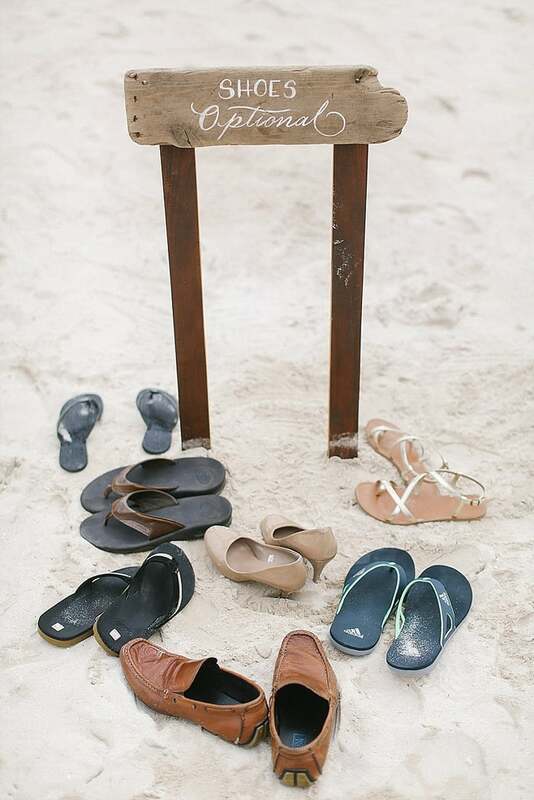 Allow shoes to be optional if you'll be exchanging vows on the beach, or create a DIY sangria bar instead of hiring an open bar. 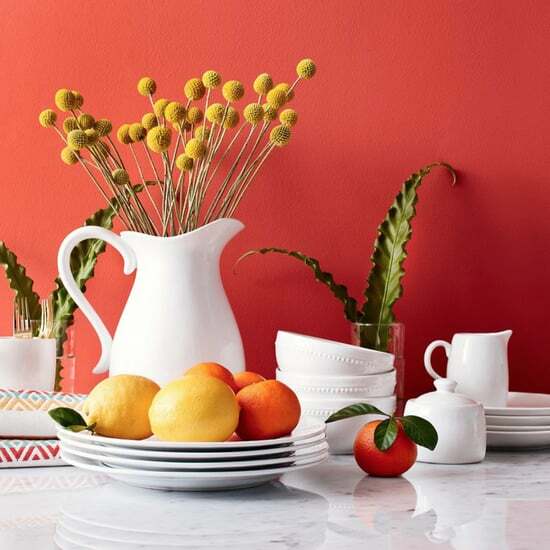 You and your guests will appreciate the ease of the day.